Triple H set up the pins this week on RAW and The Shield knocked them down? Through cunning and some well-placed beatings, The Shield looked like they were about to destroy the locker room, but Daniel Bryan had other plans. Is the WWE united against a common threat? What does the corporation have up their sleeve? While the answers to those questions aren’t known yet, the bottom line was RAW was fun. With the solid card and the continued angle of Triple H, Stephanie McMahon and The Shield vs. 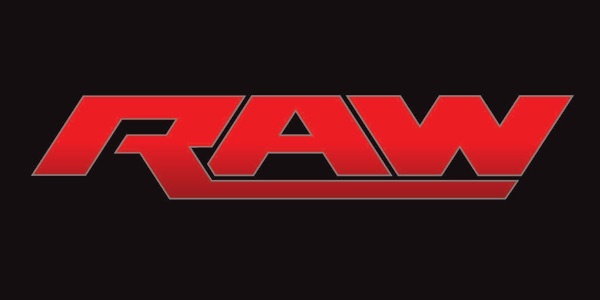 The Universe fueling the show, as well as more drama between The Miz and Big Show and CM Punk and Paul Heyman, this week’s episode of Monday Night RAW even exhibited some flashes of brilliance. World Heavyweight Champion Alberto Del Rio vs. Kofi Kingston: Del Rio hit his share of kicks and suplexes early. After a small flurry from Kingston (where he nearly won with the SOS), the champion worked on the challenger’s arm and after a German Suplex and a Stomp, Del Rio eventually won with the Arm Breaker. Luke Harper and Erik Rowan w/Bray Wyatt vs. Darren Young and Titus O’Neil: Poor Darren Young. The guy got destroyed for about eight minutes until O’Neil got in with the hot tag. Barking and hitting his signature offense, O’Neil looked great until Harper nearly decapitated him with a Clothesline. After the match, Wyatt hit Young with the Sister Abigail. Rob Van Dam w/Ricardo Rodriguez vs. Randy Orton: Van Dam was in control until a missed Split-Legged Moonsault. Once Orton had an opportunity he hit his signature DDT and then looked to end the match with the RKO. Van Dam countered with a kick and nearly won with a rollup. After another kick, RVD went for the Five-Star Frog Splash, but Orton knocked RVD off the top with a kick if his own. Once on the outside, Orton beat on RVD until the match was thrown out. The beat down continued for several minutes after and ended after Orton hit a top-rope DDT. After Orton left, Alberto Del Rio attacked RVD as well. Fandango w/Summer Rae vs. Santino Marella: Fandango was clearly the aggressor until Marella got pissed and had his usual face run. After Summer Rae set the trap, Marella couldn’t hit the Cobra, while Fandango nailed a clothesline and followed it up with a beautiful top rope Leg Drop for the win. 10 Diva Tag Match: Divas Champion AJ Lee, Tamina Snuka, Alicia Fox, Oksana and Layala vs. Nattie Neihart, Brie Bella, Nikki Bella, Cameron and Naomi w/Jojo and Eva Marie: Brie Bella pinned Lee with the Facebuster in a stinker of a match. 11-on-3 Handicap Elimination: Darren Young, Titus O’Neil, Rob Van Dam, R-Truth, Justin Gabriel, Dolph Ziggler, Zack Ryder, Kofi Kingston, Jimmy Uso, Jey Uso and Daniel Bryan vs. WWE United States Champion Dean Ambrose and WWE Tag Team Champions Roman Reigns and Seth Rollins: Before the match, Cody Rhodes and Goldust attacked The Shield. Although Kingston, Van Dam and The Prime Time Players were hurt from their prior matches, they showed up to the fight. RVD was eliminated first by Ambrose’s diving front Bulldog. Kingston soon fell the same exact way. Reigns then defeated O’Neil, Gabriel and Ryder with three Spears. Things went differently after that though as Bryan entered the match and was a ball of fire. A Jey Uso top rope Splash then eliminated Reigns. A Rollins knee lift eliminated Young. In a shocking move, Ambrose was eliminated by a Ziggler Zig-Zag. The only member of The Shield left, Rollins beat R-Truth with a nasty stomp. After Ziggler and the Usos took out the returning Ambrose and Reigns, Bryan beat Rollins with the Flying Knee.